All new riders need to attend and pass the 2 day Learners Permit Course prior to obtaining the Learner Permit. This is VicRoads mandated course including off-road training, performed on “The Range” and an on-road assessment. This is in addition to the existing motorcycle knowledge test. After you have successfully completed your Learners Permit it is required to complete the Check Ride, which is an on-road practical skills check. The Check Ride must be performed at least one month before you want to go for your licence. This is a 15 hour course of training and testing over a two day period. It is designed specifically around the assumption that the student is an absolute novice rider with no previous experience. 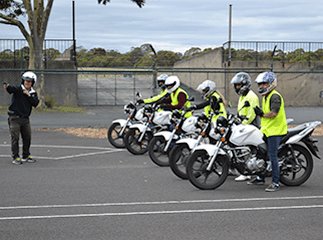 The course covers all safety aspects for riders, from basic control skills through to the point where the student skill level will be safe for “real world” road riding situations in traffic.The training and testing consist of various exercises, riding our motorcycles on our training range and on the road. The class sizes normally consist of a maximum of 5 riders to 1 instructor, allowing the instructor to devote the time requirement for each student to fully understand the safe riding concepts. 15 hours training and testing over 2 consecutive days. 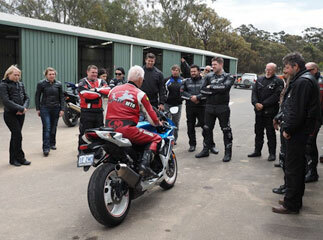 Ride-Tek is one the most experienced motorcycle training organistions in Australia. 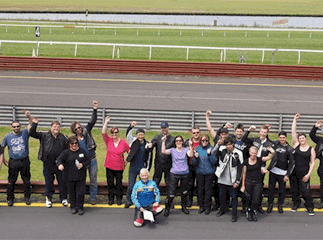 Our experienced trainers are passionate motorcyclists who are dedicated to assisting you to get the most of out of the training being offered. 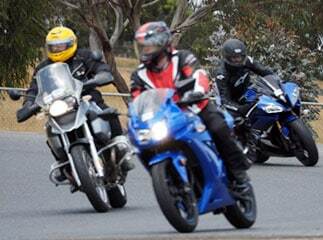 Our aim is for you not to just pass your Motorcycle Learners Permit but to ride safely and enjoy your motorcycling. It is wise to check if your licence is currently suspended, cancelled, disqualified or subject to a Fines Victoria Sanction. If you have any doubts it is safe to check with the Fines Victoria Website. Ride-Tek constantly receives 5 Star Reviews. Nearly 20 years of training for Learners Permit, licence, advanced training & Private training.